This floating home is located just 15 miles from San Francisco in the town of San Rafael just on the northern side of the Golden Gate Bridge. The houseboats are world famous and you will enjoy the stay in this most unique of settings. The living room has water views from every window and a fireplace that is enjoyed while watching the birds. Because of the main level open floor plan, you'll enjoy preparing sumptuous dinners while visiting with your loved ones, relaxing on the couch and chair. Pets are NOT allowed. NO Smoking allowed in this home on the decks or on the docks. Smoking in any of these areas is cause for loss of your security deposit!! This home is about 550 sqft and two levels (the loft and the main level). It can easily accommodate two people and three if one doesn't mind sleeping on the couch. This home is great home just to kick back and enjoy the summer. Bring a SUP and launch directly from the huge water side deck. 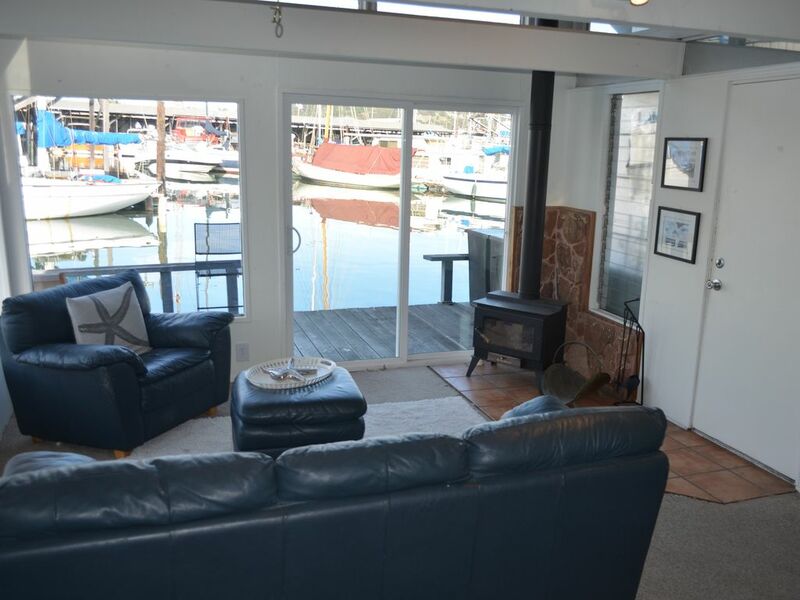 Family of six living on a houseboat in Sausalito. It doesn't get much better. Our family was growing and we needed more space and are soon to replace this home with a new floating home. Never have to cut the grass on the weekend! Beautiful view of the water and the San Rafael Yatch Harbor.. Yes we have it but it is a public Comcast signal and only available to Comcast users, otherwise you need a hotspot from your cellular telephone. Kind of like returning to your college days, but sufficient to make great meals, and a dishwasher for swift and easy cleanup. Ample deck that is on the water side and wrap around decks about the perimeter of the home. FLOATING HOME - This home floats on the water!!!!! !